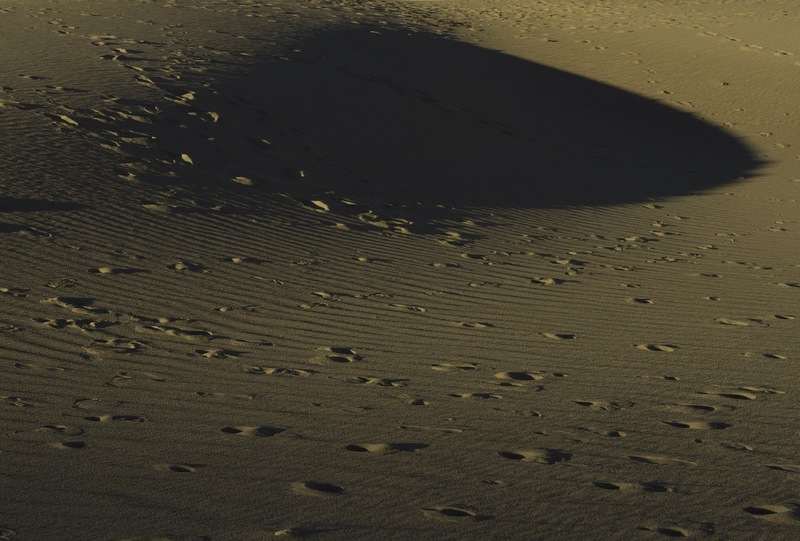 The dunes were probably my favorite location for the trip. However, I got off to a rough start. It was 5:30 a.m. It was still dark. I asked the instructor which lens would work best. He gave the right answer but it was not the one I wanted to hear. He said that whatever lens you leave in the car will be the one you want in the field. Ok. I get it. But I had just bought the camera the week before the trip and I was not going to change lenses in the middle of a sand dune. The sand was finely textured enough that any breeze at all would have it swirling in all directions. 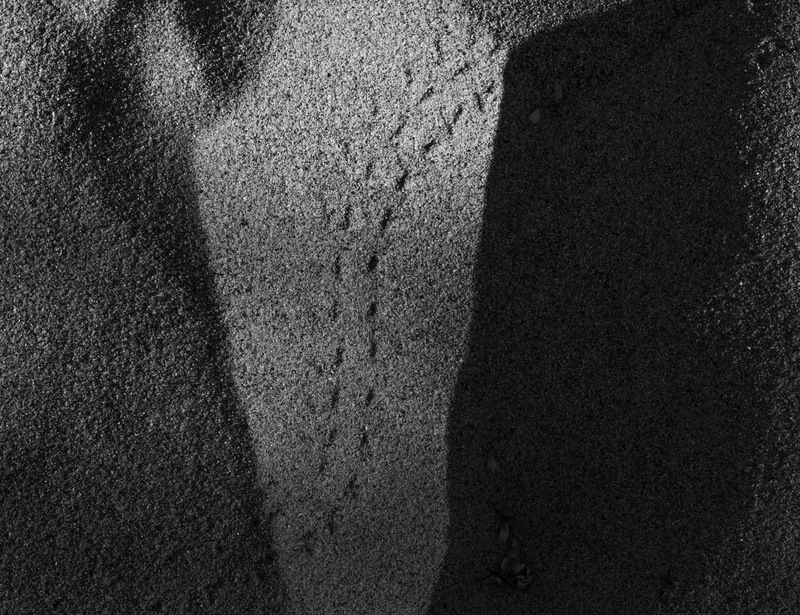 So I chose the 24-70mm and trudged into the dunes. 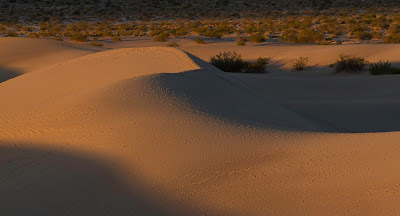 And sure enough, once I had convinced myself to climb up the large dune in front of me, I found that I was too far away from the dunes in the back that I wanted a picture of. Oh well. I had to make the best of it so I shot at the 70mm end of the lens. When I got the images on the computer, I was pleasantly surprised. I liked quite a few of them. The warm morning light was just wonderful. 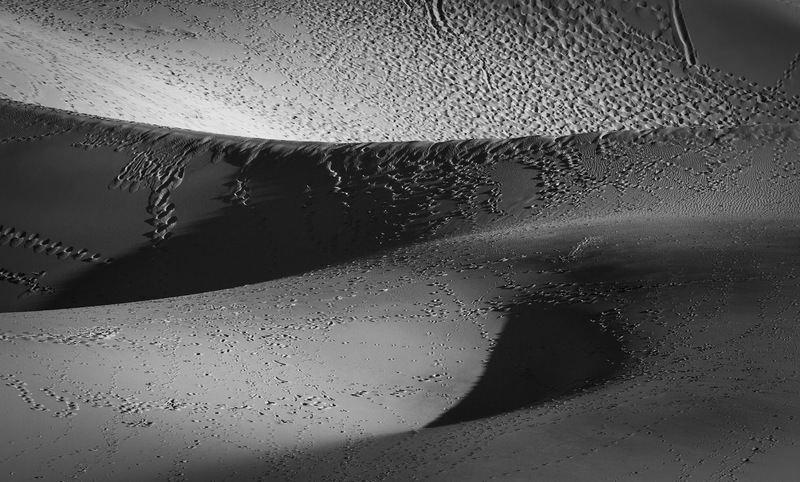 The dunes have some great shapes. And I was able to get some B&W images. A great morning! In fact, we enjoyed the dunes enough that Annette and I decided to go back to the dunes by ourselves on Saturday morning after the workshop had finished. That time I took the 70-200mm lens and felt I was too close. Oh, well! 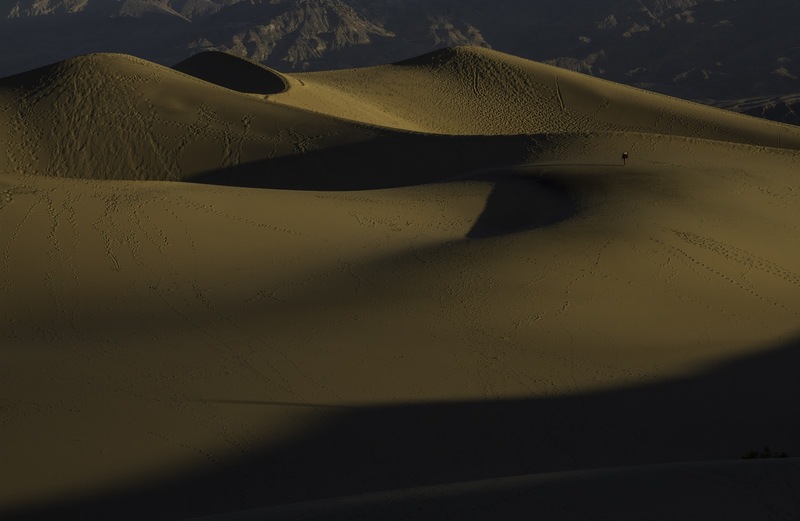 In this first image, notice the little speck of a person and try to comprehend the size of the dunes. 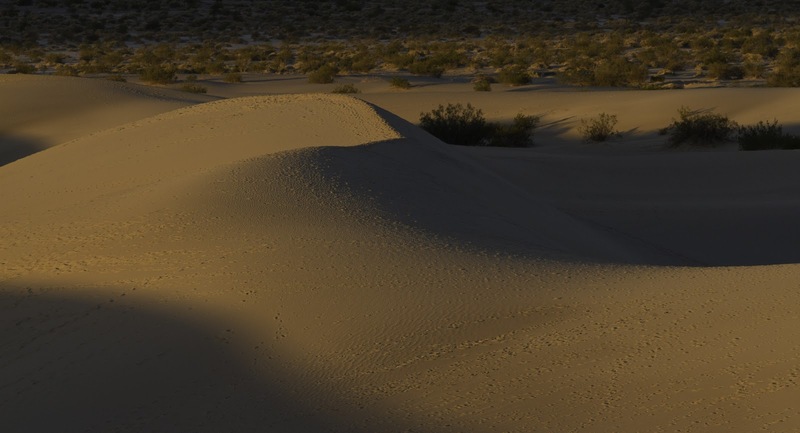 Also, notice how the long shadows caress the dunes. This next image is a picture of Annette. No, really! That is Annette in the lower right. The only reason that I know this is because I was there. On this next image, I cropped a little too close at the top. Unfortunately, the crop was done in camera. But I love the shadows in this image. I like how they gently break over the round edge and deepen into a pool. I like to shoot perpendicular to the direction of the light, as I did in this next image. It allows the shadows to define the shape and form of the object. I like how the edge of the shadow goes from a blending into a sharp edge. Notice the shadows and the softly flowing S curves in this black and white image of the dunes. On this trip I started looking for black and white images and I am always open to abstract images and this next image is a combination of both. 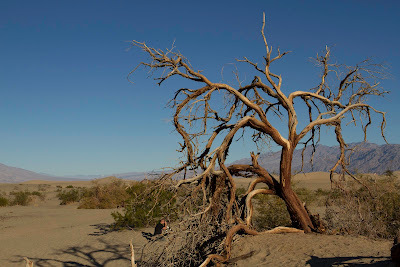 On one of the hillocks as you enter the dunes, there is a tree with lots of character. 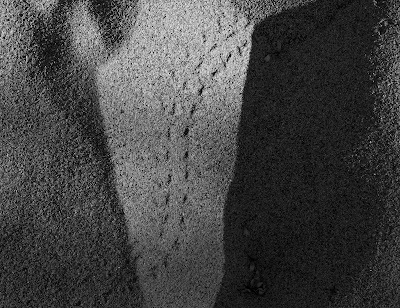 It was too dark on the way in to the dunes to see enough to compose a shot. I was glad I was able to get this on the way out. The photographer in the image was a fellow student.